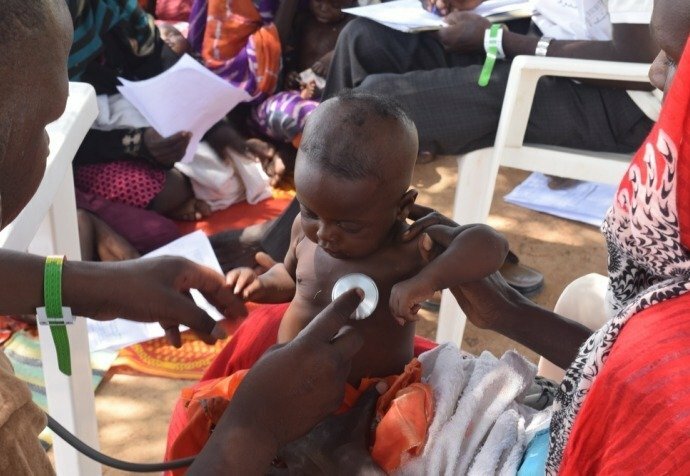 Medical facilities treating malnourished children in Chad's capital, N'Djamena, are overwhelmed by thousands of patients during this unusually severe "lean season," which has led us to open a 50-bed inpatient therapeutic feeding centre in the city in partnership with Chad’s health authorities. Endemic in Chad all year round, acute malnutrition has now reached alarming proportions among children in N'Djamena. This is due to the cumulative effect of a decline in people's purchasing power, an unusually severe period of seasonal food insecurity between harvests, and a public workers' strike that is affecting the health sector. 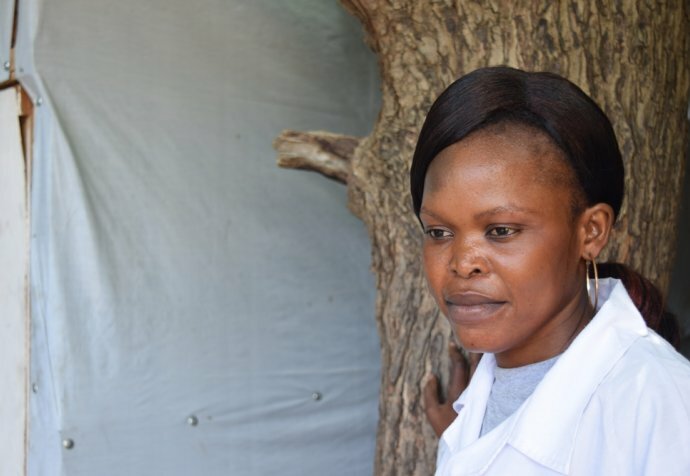 "Everything must be done to prevent children from becoming so sick they have to be taken into hospital," said Natalie Roberts, MSF emergency program manager. "Action is urgently required to increase the number and the reach of outpatient nutrition centres and make sure they have the means and support to provide effective assistance." At about this time last year, malnutrition rates among children in the city were also at emergency levels, according to a survey coordinated by Chad's Ministry of Health. So far, 2018 appears to be significantly worse. Since January, the number of children hospitalised in N'Djamena's Chad-China Friendship Hospital with complicated cases of severe acute malnutrition has risen 45% compared to the same period last year. The hospital, supported by the aid organisation Alima, recently increased its beds from 80 to 150, yet it cannot serve nearly all the patients in need. "Action is urgently required to increase the number and the reach of outpatient nutrition centres and make sure they have the means and support to provide effective assistance"
Outpatient nutrition centres also have a crucial role in preventing children's health from deteriorating to the point that they need to be hospitalized. But most outpatient nutrition centres in N'Djamena are open just one day a week and experience frequent shortages of ready-to-use therapeutic foods, which are a vital treatment and are provided by UNICEF. After opening the inpatient therapeutic feeding centre today, we're also preparing to open several outpatient nutrition centres across N'Djamena. The nutritional status of children with moderate malnutrition also needs to be improved, but they currently receive no form of treatment. "Until now in N'Djamena, children who are screened and found to have moderate malnutrition are sent home with nothing," Roberts said. "But we know that, once they're back in their homes, children with moderate malnutrition rapidly descend into acute malnutrition because their mothers aren't able to give them enough food. We shouldn't have to wait for these children to be at death's door to respond to their basic needs." In the coming weeks, we will distribute supplementary food provided by the World Food Programme through our outpatient activities to treat children suffering from moderate malnutrition.